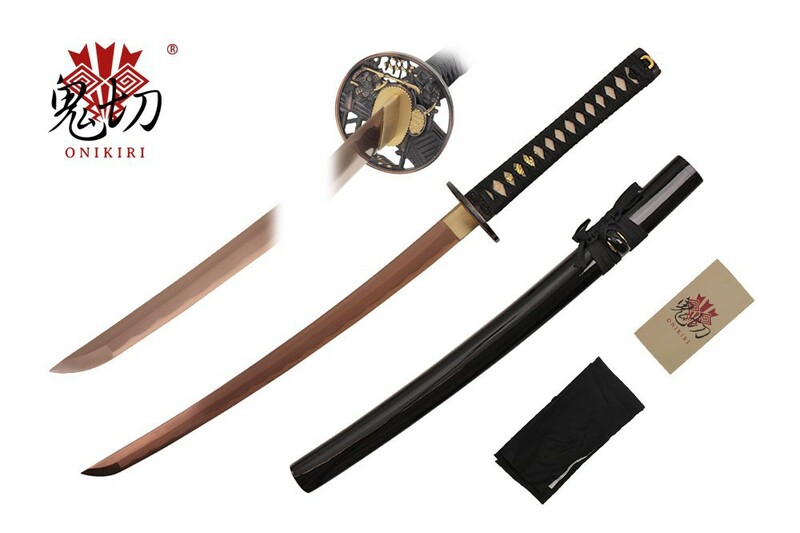 Katana Practical Hoshi - with red golden shining carbon steel blade. 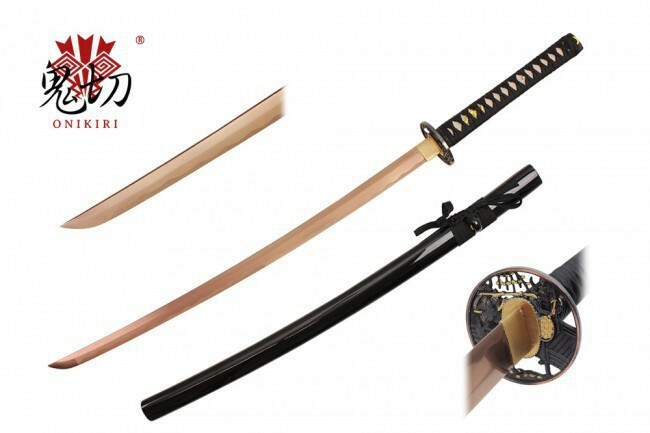 Wakizashi Practical Hoshi - with red golden shining carbon steel blade. 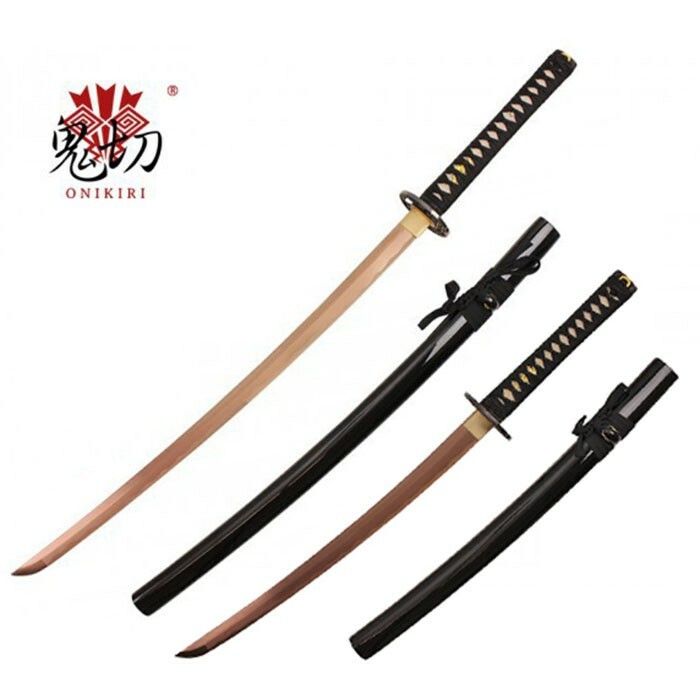 Delivery includes: Katana, Wakizashi, Sayas, cotton sword bags and certificates of authenticity.